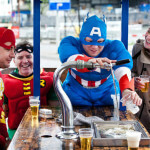 The Amsterdam 'Beer Marathon' is for the Beer lovers and those who love the unique Amsterdam bars & cafés. 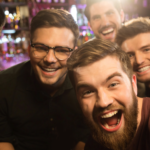 In this Beer Marathon your guide from Amsterdam Bachelor will bring you to 8 typical Amsterdam bars in city center and let you taste the different beers that the Netherlands & Amsterdam have to offer. From our World Famous pilsners to locally brewed beers from Amsterdam. 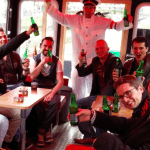 Have fun along the way and learn more about our typical Dutch beers and the impressive bars we will pass by! At the end of the 'Beer Marathon' you will all get a prize from us for completing this cool & exhausting Amsterdam Marathon! It's always important to drink enough during a marathon!! Feel free to contact us when you have any questions or get a quote when you like to book this or more activities & services. We had a fantastic time on this tour. Our tourguide Ed (from the UK) was a great guy who knew a lot about the city and the different beers and pubs we went to. We emphasized that we were interested in local brews and not the generic stuff, which he took into consideration when ordering the beers. He also took into consideration if one of the tourguests didn't like a certain kind of beer e.g. IPA and got that person something else instead. 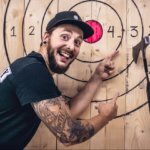 So it has to be noted that the tour and the beers are not planned out entirely and are subject to change, depending on the wishes of the guests. We got to see some interesting locations and taste some beers which we probably would not have gotten to see or taste if we were on our own. So it is a great opportunity to get to know the City if you are unfamiliar with it. Of course you should probably like to drink beer if you go on this tour. 10/10 - would highly recommend!